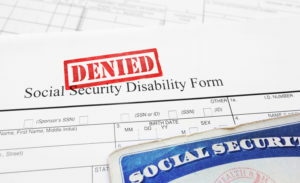 If you’ve filed for Social Security Disability, it can be devastating to find out your claim has been denied. Especially if you believe your claim has been denied unfairly. But denial is not necessarily the end of the road. There are steps you can take to appeal this decision. At this point, however, you might be wondering: Is it really worth the effort? What are my chances of winning an appeal? Unfortunately, it’s impossible to say for certain. Every situation is different, and therefore, there will be factors and variables that affect everyone’s chances differently. I’ll give you a few statistics. When an appeal claim is at the reconsideration level, there’s an 85% chance it will be rejected. At the hearing level, there’s a 50/50 chance a claim will be rejected. However, there are things you can do to increase your chances. For one, hiring an attorney will increase the chance of your appeal succeeding. There are many factors that are taken into consideration when reviewing your case — such as whether or not your condition has worsened over time. They will also likely look at whether or not you’ve been following the proper procedures. For instance, did you let Social Security know of any changes to your condition when you filed your appeal? Have you been keeping your files up-to-date, making notes of appointments and procedures? Have you complied with all requests made by the Disability Determination Services? It is important to make sure that you are keeping your records up-to-date, and an attorney can help make sure that you’re staying on the right track. The presence of an attorney can increase your chances of your appeal succeeding, but it’s also a good idea to work with an attorney because we can help you navigate your claim and make sure that you’re doing everything to receive the benefits that you deserve. At Oxner + Permar, we’re dedicated to making sure that you receive the care and compensation you need — and with more than $275 million in awards and settlements, we have the experience to protect your rights.